"For the first time in my life, I regret not being an educated parent. 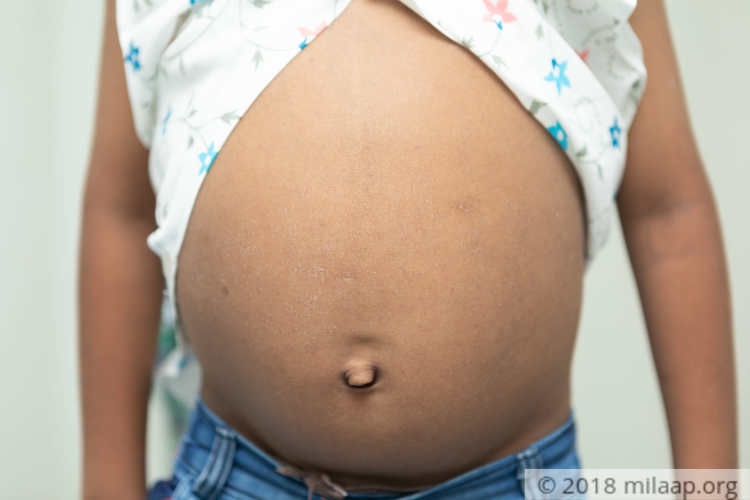 When my son was 6-month-old his stomach was bloated and we thought it was normal for a child. But with the growing age the stomach has also kept swelling, he developed severe stomach ache and aggressive itching. I have only consulted the local doctors who gave him medicines for a temporary relief. 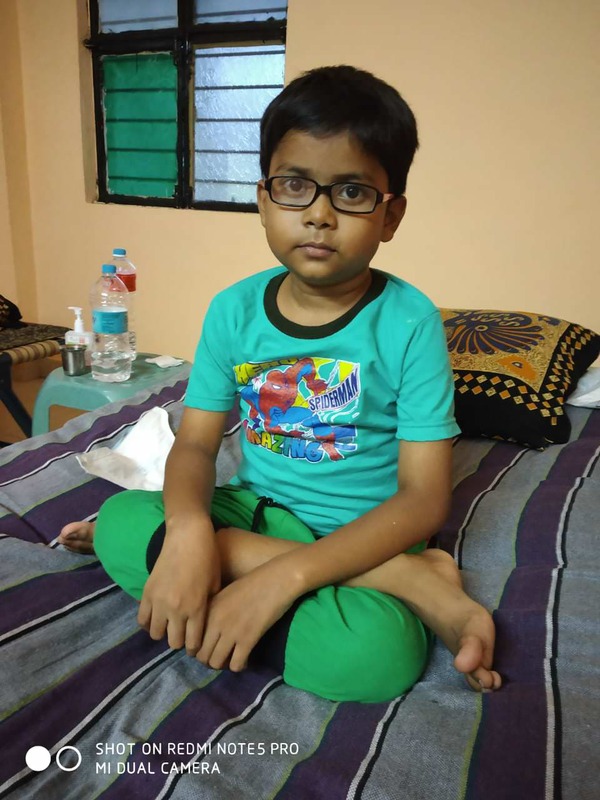 But a month ago he was bedridden with high fever and severe stomach pain, I rushed him to a private hospital in Hyderabad who told us that he was suffering from the liver disorder and his condition is very critical. I do not know what to do and I can never forgive myself for the suffering he had gone through all these years." - Nageshwar. 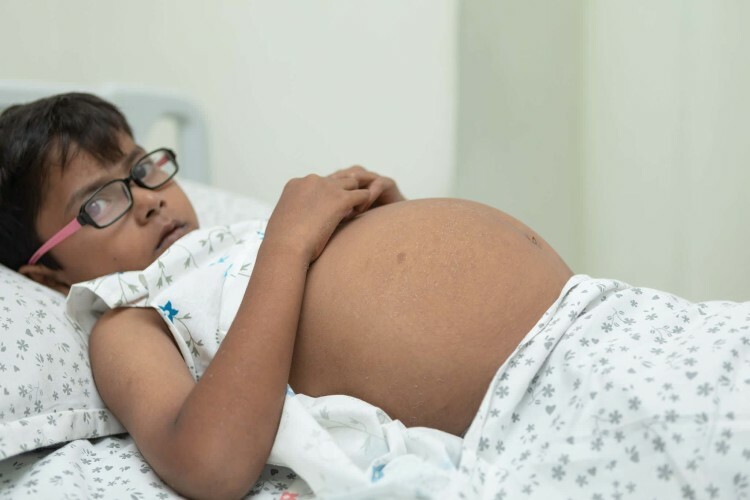 11-year-old Aditya has been suffering from unbearable stomach pain and tiredness since his birth. His parents took him to local hospitals but he was given only pain relievers. 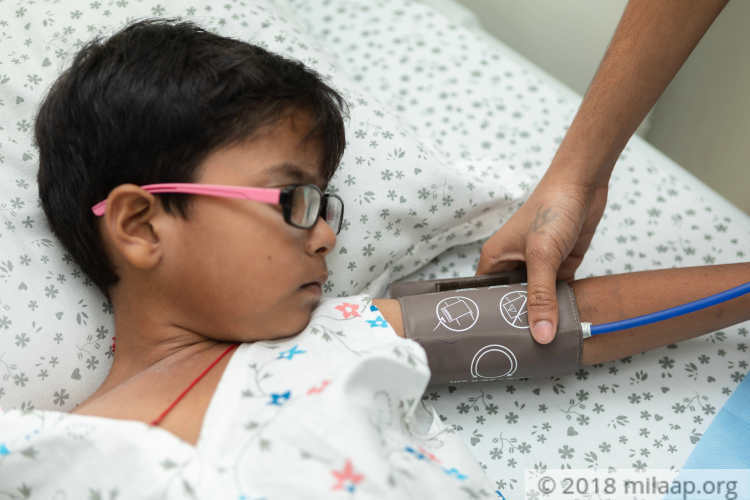 To the shock of his parents, his condition got worse and now Aditya is fighting to even take a breath and diagnosed with a life-threatening liver disease. He has severe breathing problem and drags himself with all the might and strength left in him to the nebulizer for oxygen. He feels humiliated when other children tease him for being too short for his age. He mostly locks himself in the house and feels lonely. Whenever he asks 'Naana, why am I like this? Will I ever look normal in life?' 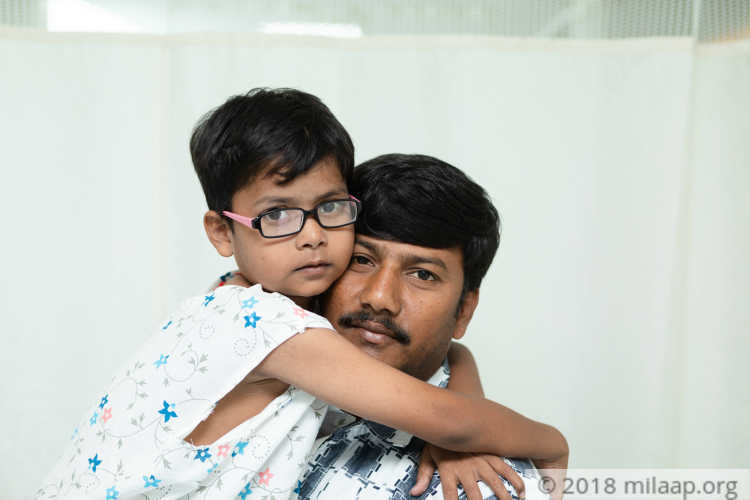 my heart flinches with pain," - Nageshwar, Aditya's father. 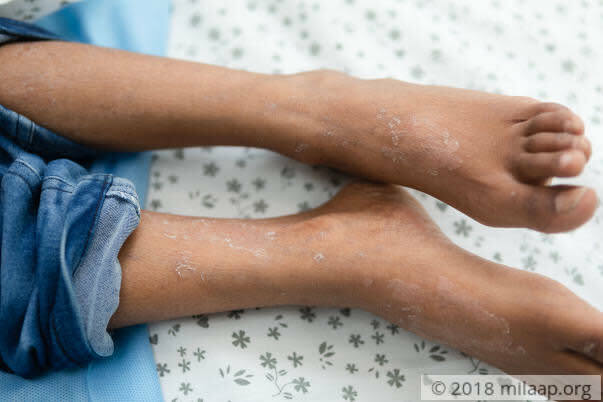 This 11-year-old was diagnosed with a liver metabolic disorder called glycogen storage disorder which is an inherited disease caused by the buildup of glycogen in the body cells. This buildup impaired the function of Adiya's liver and caused growth retardation. 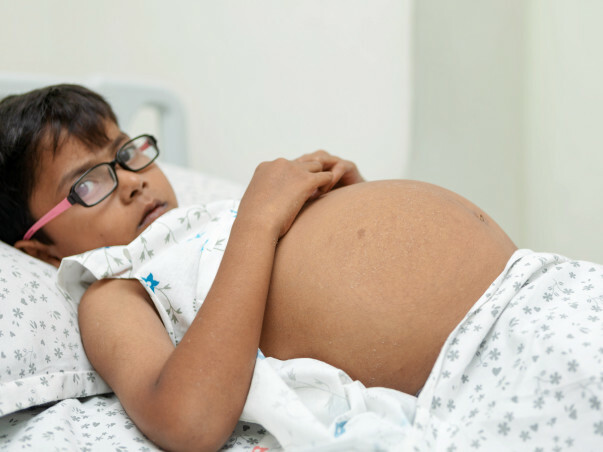 Aditya's liver has enlarged causing difficulties in breathing. Only an urgent liver transplant can save him from this cruelty. "All his life he has only known pain and suffering. He constantly cries due to severe stomach ache and is consumed by weakness. He cannot even carry his school bag. At times, due to itching, he scratches himself so aggressively that his skin peels off and blood oozes out. The sight of him laying on the bed weekly with blood stains and broken skin is unbearable. I haven't seen a day passed without my wife crying seeing our son's pain at this young age." - Nageshwar. Nageshwar who is a fruit vendor is the sole breadwinner of the family. With his little income of Rs 300 a day he runs his family. He had already spent 3 lakhs and now unable to afford a surgery for his son which costs 16 lakhs. "With a few fruits that I sell, I won't be able to afford this expensive treatment which can save my son. I have spent all my earnings to diagnose the problem and now I am left penniless. I ran to every person I knew to get help but always returned hopeless," - Nageshwar. 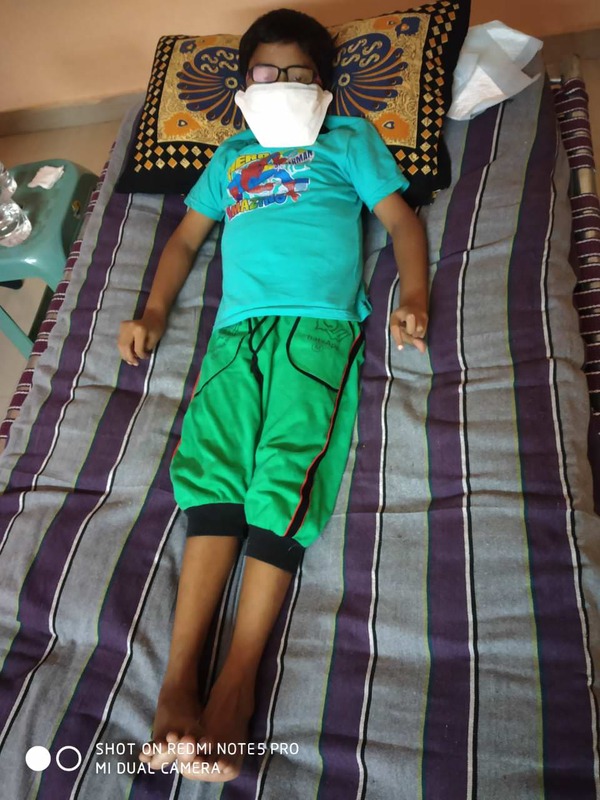 11-year-old Aditya is fighting for life with a severe liver disorder, which is not allowing him to breathe and has caused growth retardation. He should immediately undergo a liver transplant, without which he may never be able to make it. Your kind donation may help him survive. Thank you for the love and support you have shown towards Aditya. Aditya got discharged and is doing really well. The family has rented a room is staying in Hyderabad for followup observations. His mother who was a donor, has also recovered and is doing well. He is on regular medication as prescribed by the doctors. Thank you so much for the love and support you have shown towards Aditya. Aditya successfully underwent the transplant, he responded well to the whole treatment procedure. Currently he is at the hospital and being closely monitored by the doctors. His mother donated a part of liver for the same, she has been discharged and is recovering well. For now, he is not able to intake food as it takes some time to digest the food. He is given the necessary nutrition with some powder as prescribed by the doctors. Master Aditya is stable and we are waiting for the donor evaluation. Once we get the clearance for the donor then will plan the liver transplant for him. Potential planned donor is his mother Mrs.Nagamani. We are all hopeful about his recovery. We shall keep you posted.